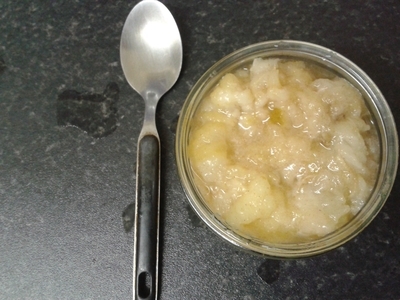 Pears are a great source of fibre for babies, they are easy to digest, simple to enjoy, and their sweet and grainy nature means babies love them. This dessert can be whipped up in under 15 minutes, so you're not stuck for a quick meal if you're little one is hungry, and needs something fast. 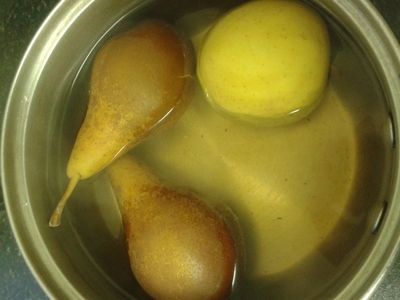 Place the pears and apples in a saucepan of boiling water for 10 minutes. 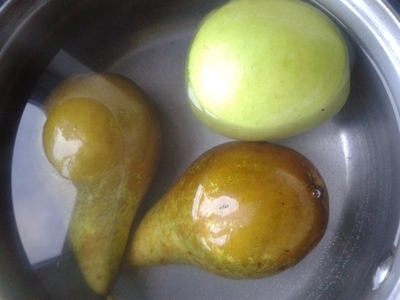 Once boiled they should look a little darker in colour, and tender. 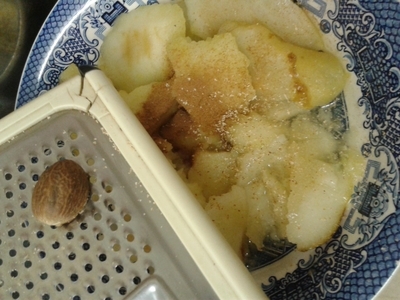 Transfer to a plate and peel the skin. 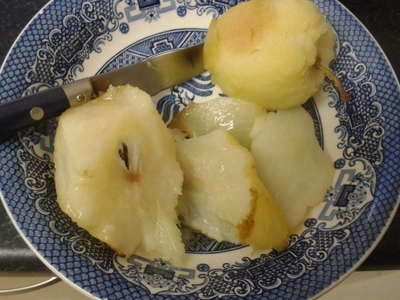 Chop the fruit into chunks - you should be able to do this with a table knife. 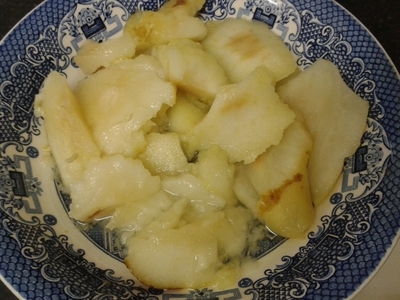 Mash together using a fork. Pour into ramekins/baby sized bowls, and enjoy. 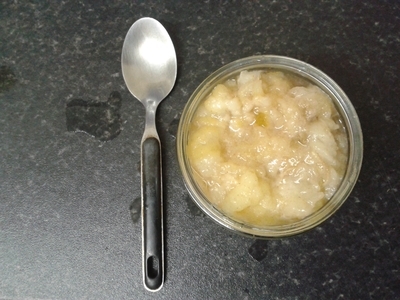 Feel free to enjoy this recipe hot or cold, but lukewarm works best for just-forming gums, and sensitive mouths. 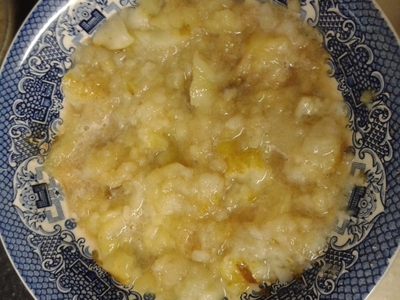 This pear pudding is sugar-free because the fruit makes it sweet enough to be enjoyable. Plus it's a great little dessert for adults if you're following a low sugar diet.